Ideal for houses or properties that have been wired for an intruder alarm system. Our systems are designed for the residential and small business markets and can provide more than a standard security system. Our systems support visual verification with a Smartphone app which enables owners to control their alarm systems remotely as well as view real-time images taken inside their premises with the wireless PIR camera detector. In the event of an alarm, the PIR camera is automatically activated and captures a sequence of images which it sends to the users Smartphone. This capability enables users to view the images and confirm if there is a crime in progress. Our security system can be enhanced with a wide range of accessories such as : Smoke, Heat and Carbon Monoxide detectors. Sheds and garages can be incorporated as part of the system. Our External Sounders are designed to keep the burglar away by being a visual deterant, the unit is slim line weatherproof,tough, durable, 115db Volume, front and rear tamper, with our our companies logo. 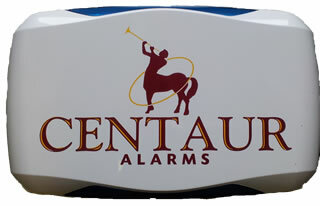 Provides a visual deterrent with the presence of our logo, thieves know that your home is protected. Deter thieves with a unit that is not a dummy box but a live 115db sounder. Detection devices are fitted within the premises, once they are triggered by an intruder it will send a signal to the control panel and in return this will activate the internal sounder and external sounder immediately, these detectors come in two types, a normal PIR room sensor or a pet sensor used in areas where pets are located. 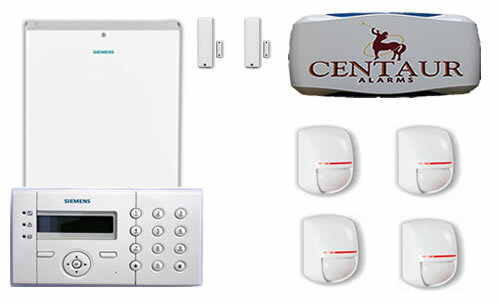 These devices are fitted to door/windows and also as part of your entry door, other then the entry door once the alarm is set if a door or window is opened this will activate the alarm system. On the entry doors this will start the entry timer to switch the alarm system off. 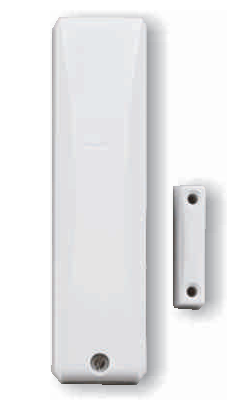 Fits onto doors or windows and triggers an alarm signal once a door/window is opened. The keypad is normally installed at entrance lobby, the unit is used to set and unset the alarm system via entering a code. For systems that is monitored for policing a keyfob is used for setting & unsetting the intruder alarm system. Full set and Night set function and Inbuilt Panic Button. The internal sounder is normally located at entrance lobby when an alarm activation occurs the external sounder with the internal sounder will trigger. The intruder alarm system comes with a changeable rechargeable battery which will keep the alarm system fully functional for up to twelve hours. This is a low cost way of connecting the alarm system to your mobile phone, should your system activate. This will text your nominated mobile phones, no longer having to rely on neighbours to inform your of an activation. Upon activation the system will text up to four different telephone numbers. Download the Smartphone App for Remote Control from anywhere in the world. * Additional costs apply.